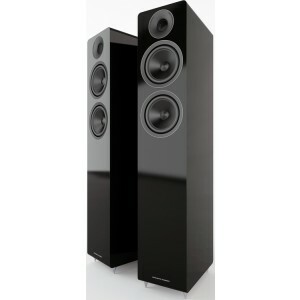 Acoustic Energy AE309 Speakers is a new slim-line floor-standing loudspeaker with compact dimensions, suitable for medium to large sized rooms. In comparison to the smaller AE300 and its 100-series counterpart, the AE309 brings greater standards of performance and finish. The AE309 employs dual newest generation 130mm mid/bass drive units benefiting from an innovative ceramic layered aluminium cone with an incredibly shallow profile and very high force, long-distance motor mechanism. This novel driver functions to broaden dispersion whilst extending bass impact and complete power processing. A brand new Aluminium 28mm diametre tweeter has been produced for the 300 range which lends great power handling and low base resonance to prevent distortion. However, the main benefit of this new design is the excellent dispersion characteristics thanks to Wide Dispersion Technology waveguides. The waveguides form the audio output of the tweeter to compliment the woofer precisely and create a broader sweet-spot in your listening area. 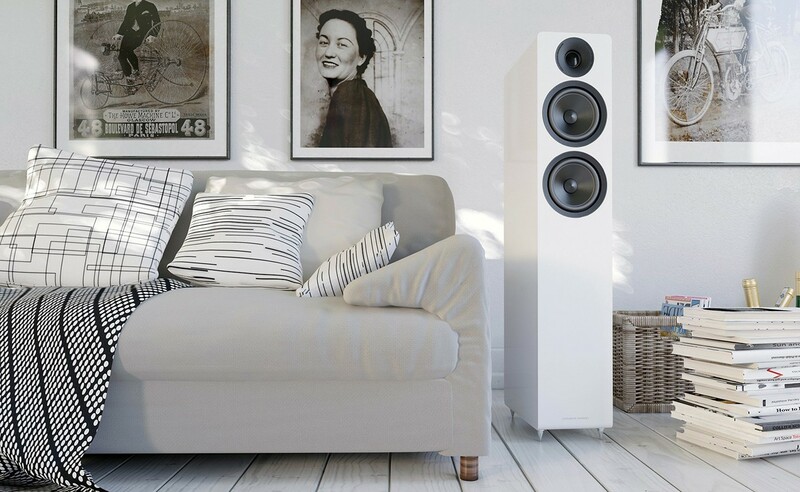 The robust high-rigidity 18mm MDF enclosure uses proprietary bracing mechanism trickled down from the award-winning Reference line-up, to lower cabinet colouration and enable the transducers to breathe openly in the listening room. The slot-shaped port on the speaker's rear boosts the bass output thanks to a careful design which reduces the impact of air turbulence with a clear, unadultered bass performance. The cabinet base is pre-loaded with a sturdy mass material which provides damping. The mass loading paired with 8mm floor spikes facilitate stability and create a robust foundation for the drive units to function while preventing cabinet resonances from interacting with the surface. This newest drive unit technology and enclosure design is fused into a slim, powerful floor-standing speaker made for the discerning audiophile when tuned audio quality and elegant aesthetics are demanded. AE309 comes in a choice of Piano gloss black, white or satin real walnut wood veneer finishes to effortlessly blend within any home décor and personal taste.